Developmental therapeutics is clinical research aimed at finding new and innovative anti-cancer therapies. It includes the exploration of new drugs, new combinations of drugs, new technologies, and new cell and immune therapies for cancer treatment. Once identified, these new therapies are tested in patients for safety, appropriate dosing and efficacy within the confines of a clinical trial. The ultimate goal is to identify novel therapies that are safe and effective in treating children with cancer, while also preserving their quality of life. According to the World Health Organization (WHO), a clinical trial is any research study that prospectively assigns human participants or groups of humans to one or more health-related interventions to evaluate the effects on health outcomes. In other words, clinical trials are research studies performed on patients that are aimed at evaluating how a specific medical, surgical or behavioral intervention impacts them and their disease. Clinical trials are the primary way researchers find out if a new treatment, such as a new drug to fight leukemia, is safe and effective in patients. There are four phases of clinical trials — each with unique and specific goals. This trial typically tests a new treatment on a small group of patients in order to understand the best dose and side effects of the drug or drug combination. Although the hope is that this new treatment is effective, this is not the goal of the trial. While the emphasis in phase I trials is on is on safety, the emphasis in a phase II trial is to test how effective a new treatment is in treating a disease on a specific group of patients. Phase II trials usually enroll more patients than a phase I trial. Phase II trials also continue to study safety, including short and long-term side effects. This trial typically tests a new drug or drug combination and compares it to the best-known therapy (the standard of care) to evaluate if it is more or less effective. This type of trial takes place after the U.S. Food and Drug Administration (FDA) approves the use of a specific drug, drug combination or device. A device or drug's effectiveness and safety are monitored in large, diverse populations. Pediatric drugs rarely undergo phase IV testing. We treat children with cancer that has not responded well or progressed after what is considered the best therapy. We may also treat children with a specific diagnosis that has a poor outcome despite the best-known therapies. At the Aflac Cancer and Blood Disorders Center of Children’s Healthcare of Atlanta, our goal is to shift ideas from the lab to the bedside of patients when it is suitable for clinical trials. Our Development Therapeutics (Dev-T) Program focuses on the creation of new treatments for children with cancer and blood disorders. Our hope is that new drugs, new combinations of drugs or technologies lead to new and safe effective therapies to help fight pediatric cancer. 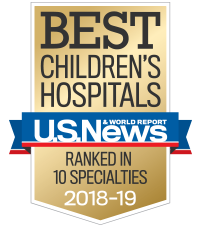 We are members of the Children’s Oncology Group (COG) Pediatric Early Phase-Clinical Trial Network (PEP-CTN)—one of only 21 centers nationally. This prestigious membership allows us to offer novel and innovative therapies to children with a wide range of different cancer diagnoses. Visit COG's website for more information. We are one of 12 national members of the Pediatric Brain Tumor Consortium (PBTC), a consortium dedicated to providing new and innovative therapies to children with recurrent or progressive and high-risk brain tumors. Visit PBTC's website for more information. We are members of the New Approaches to Neuroblastoma Therapy (NANT), a consortium dedicated to developing new therapies specifically for children with neuroblastoma, therefore improving their outcome and minimizing side effects. Visit NANT's website for more information. We have numerous local unique Investigator-Initiated trials developed by our own clinical research teams to treat children with a variety of recurrent cancer.